The time is running out. This weekend we will have two amazing events, one in Europe in beautiful Romania, and the other one will be in incredible Guatemala. 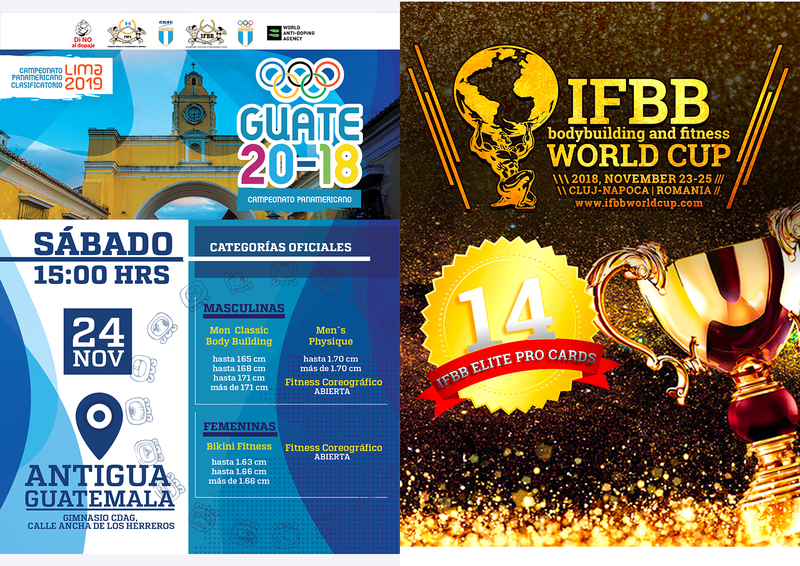 We will be celebrating the First IFBB World Cup in Cluj Napoca, Romania. An event in which 14 Pro Cards will be given to the winners. And on the other side of the Atlantic Ocean, we will have the Panamerican Championship, a classificatory event for the PANAMERICAN GAMES , of the Olympic program , that will be celebrated in August 2019 in Lima. Another weekend plenty of emotions and passion for the sport.